Tim Martin, chairman at JD Wetherspoon said "Wetherspoon shareholders are aware, we pay about 40% of our profits (£30.7m in the year under review) as a bonus or free shares, over 80% of which is paid to people who work in our pubs. By pushing up the cost of wages by a large factor, the Government is inevitably putting financial pressure on pubs, many of which have already closed. 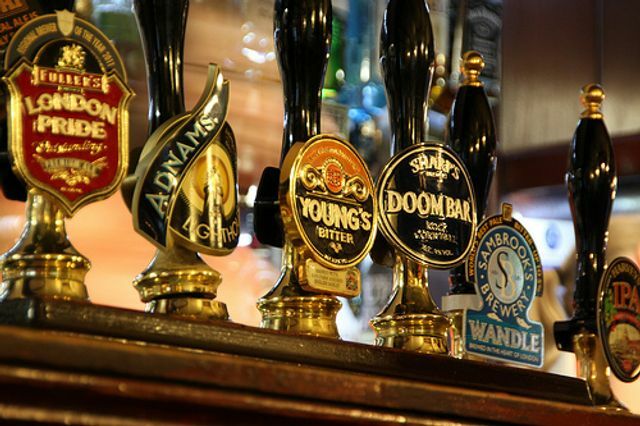 This financial pressure will be felt most strongly in areas which are less affluent, since the price differential in those areas between pubs and supermarkets is far more important to customers." The National Living Wage, announced by chancellor George Osborne in his Budget earlier this year, will see companies obliged to pay their workers aged 25 and over a minimum of £7.20 an hour from April 2016, rising to £9 an hour by 2020. The current minimum wage level is £6.50 an hour. The current living wage is £7.85 (£9.15 in London). The proposed Tory 'national living wage' is £7.20, rising to just £9 in 2020.